Taken in Michigan's Eastern Upper Peninsula. 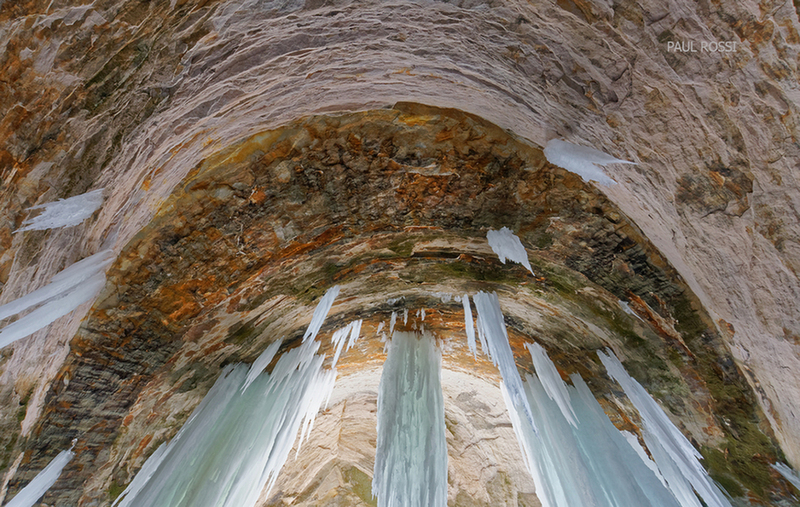 This is a cave ceiling near the entrance (about 60 feet across shown), illuminated by light reflected off the snow/ice floor, with ice pillars backlit by mid-morning sun. Very interesting image. Could be both a landscape and an abstract photo.. I think a little off the top of the frame would focus even more on the pillars. This is such a unique series. Great job! You really are taking us on a voyage of discovery with these different perspectives, angles and neck craning views, Paul! Great work.